Ryan T. Higgins is an author/illustrator residing in Southern Maine. He lives with his three dogs, three cats, two geckos, one tortoise, one son, one daughter, and one wife. He has wanted to be a cartoonist since as far back as he can remember. (Actually, that's not entirely true-he wanted to be a tiger until he was three, but, sadly, that didn't really pan out.) Ryan's first picturebook, Wilfred, was named a 2013 Wanda G g Read Aloud Honor Book. 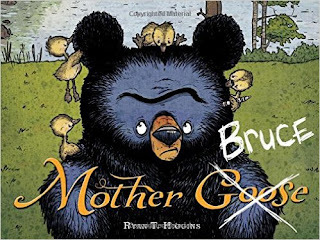 Mother Bruce by Ryan T. Higgins is an incredibly fun book! My kids thought this book was hilarious and literally laughed throughout the whole story. Bruce the bear is an extremely fun character and makes even me laugh out loud as I read to my children. 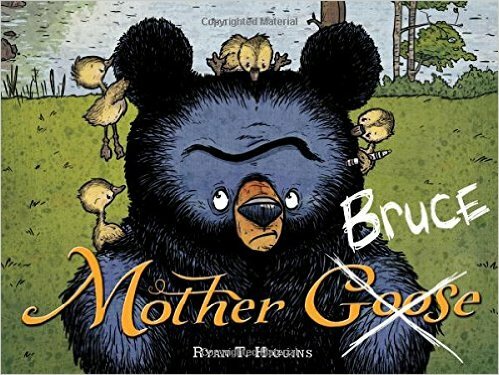 Mother Bruce by Ryan T. Higgins is now one of my children's favorite stories to read before bed. My kids love the little goslings and the illustrations are both fun and adorable. This is a wonderful book for kids and is sure to be a hit with both parents and children. by Ryan T. Higgins on Amazon, Barnes and Noble and other bookstores.